Throughout the years, we have been asked by our clients to share some of our tips-n-tricks that we have picked up along the way. Through your suggestions we have created "From Our Desk to Yours Connect" as a way for us to share with you ideas and resources available to us. We are sure you will walk away with an idea or two that you can implement in your business or personal life. Thank you for your on-going support and friendship! Amber's Kid Zone Fall Pumpkin Activity October is here and so is pumpkin season! It’s always fun to go out and pick your own pumpkins for the season as a fun family outing but what if you and your kids could make your own? Supplies: Dryer Duct piecing Glue Gun Orange Spray Paint or Orange Paint Stick Raffia Step One: Cut a piece of dryer duct. - make it a large enough piece so you can bend it into a circle Step Two: Use a hot glue gun to glue both ends together to form a circle Step Three: Spray paint (if you want to complete fast) or if you want to take more time you can paint by hand Step Four: Insert a stick that you can pick from your yard, add some raffia around the stick to finish off the pumpkin “look”! Enjoy your new decoration! 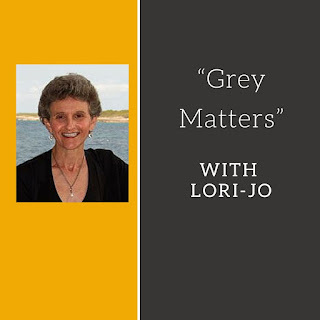 Grey Matters with Lori-Jo Navigating the Holidays It’s almost November, we are in the fourth quarter, the beginning of the end. Are you humming, “It’s the Most Wonderful Time of the Year” or are you already lamenting about “The 12 Things of Christmas That Are Such a Pain to Me”? Unfortunately, for many of us, you can’t have a wonderful time until you tackle the 12 things (or more) that are such a pain, usually at home AND at work! The holidays are a busy time. From everyday stressors such as working long hours to fighting traffic, caring for aging parents and growing children and paying the bills, just when you think your life is stressful enough, the holidays arrive, adding an additional layer of stress which can have a long-lasting impact on your body and your mind. Emotions run high during the holidays as most of us feel a duty to make the holidays the best we can. The most important aspects of the season are the opportunities to connect with friends and family. Workplace stress has a way of escalating during the holidays. It’s easy to get overloaded this time of the year in the work-life merge, as we wrestle with year-end workplace obligations and an expectation of joyful family time. Beyond ensuring the completion of year-end projects, managers have to be aware of how the holidays affect employees. How can you keep your employees engaged and stress-free this holiday season? Most importantly, keep the lines of communication open. Whether it’s the holiday your employees celebrate or memories associated with the holiday season, the holidays simply aren’t the same for everyone. It’s important to acknowledge cultural differences among your team. Be aware of how your organization celebrates the holidays as to not exclude employees. Pay attention to the needs of your team and offer ways to manage workplace stress, don’t add to it! If you have a festive office, plan just one, simple party. It will keep tensions low by reducing office obligations and will keep the cost low for everyone as well. Make it fun; just don’t make it mandatory to participate. Giving employees a more flexible schedule to accommodate added family burdens might help, including telecommuting, at least occasionally, until the seasonal rush passes. In order to have a smooth holiday season in the office, make sure the entire team knows the vacation schedule and make sure that anyone eligible to take time off is able to. Nothing initiates resentment more than an employee being forced to work when his family is having a holiday event. If your business must have someone present in the office on holidays, consider hiring a back up staff now, so everyone can schedule their vacations. There’s a lot of excess running around and tension in the office during the holidays for employees and the boss alike. Figure out a way to wind down. This may call for a change in the workload or the workforce. When the tasks become overwhelming, plan to increase your staff. The added helping hands will alleviate project and to-do list related stress in the office and ensure your staff knows they are appreciated. For example, office decorating, party coordination, receptionist duties during meetings and events, sending holiday greetings, gift giving (including ordering, shopping, wrapping and delivering), representing the company at charity events/trade shows/vendor parties, as well as year end inventory, file-purging, data entry, and reporting are all tasks that a part-time, temporary office/personal assistant can handle for you and your team. Separating these tasks from your employees’ daily and year end responsibilities and sharing the work will improve productivity and reduces unscheduled time off, fatigue and resentment. This is well worth the investment! Hello! Thank you so much for stopping by. I'd like to introduce myself. My name is Maggie , Staff Support and Trainer for All Service Concierge and this is Maggie's Discovery Corner. I've never written a blog before. Over the years I'd just write things down on posted notes, index cards, kitchen napkins etc. You see it all started with a face-to-face with Ania Fiduccia, owner & founder of ALC who has help me to open a new chapter to my life. I meet Ania April of this year after making a decision that my 13 years of running a retail business was no longer what I wanted or needed in my life. I knew I could help people more than just sell them things that they already had sitting in their closets. I wanted to go back to making a real difference in peoples lives. Before my retail hitch I had 4 wonderfully, amazing years taking care of 6 beautiful children while raising my own. I'm a mom, head to toes, skin to bone. I personally believe that it is the most important role I'll ever play in my life. It's a switch that will never be shut off. I'm also a HUGE people pleaser. I'll go out of my way to help people out. It brings me real joy to help people even when they don't know it was me that help them. I'm also the worlds biggest when it comes to sharing. If I have the knowledge or know how to get it I'm always waiting for the moment when I can pass it on. The saying is "Knowledge is power" The more knowledge we have, the more powerful we are as individuals, the more help we can be to others, not just to ourselves. The other saying is "God helps those that help themselves" Many people around us everyday don't know how to do that. If we could just give each person a little help each day, some knowledge that they just don't have, just think how incredible the world would be. Again, thank you so much for stopping by. In my day to day journey on this path called life, I'll be bringing you a blog to help, spark an idea, create a new path, make a difference. Please, come join me at Maggie's Discovery Corner. Multitasking – Pro or Con? Grey Matters, Post #1: Multitasking – Pro or Con? The term multitasking was born when computers became capable of running multiple programs simultaneously. This is a wonderful time-saver and exactly what engineers designed computers to do. Humans have been doing two (or more) things at once forever. For some tasks, it’s automatic. For example, most of us are able to walk and chew gum at the same time! Mother’s have always been adept at it, especially if they have more than one child! Office workers eat at their desk while they work on their computer, answer the phone while typing, read email during a conference call, etc. The ability to multi-task is often a specific requirement in many job descriptions. However, too much of a good thing is not necessarily better. For example, we should all stop multi-tasking while we’re driving. Here are a few research findings about multitasking: For students, an increase in multitasking predicted poorer academic results. Multitaskers took longer to complete tasks and produced more errors. People had more difficulty retaining new information while multitasking. When tasks involved making selections or producing actions, even very simple tasks performed concurrently were impaired. Multitaskers lost a significant amount of time switching back and forth between tasks, reducing their productivity up to 40%. Habitual multitaskers were less effective than non-multitaskers even when doing one task at any given time because their ability to focus was impaired. Multitasking temporarily causes an IQ drop of 10 points, the equivalent of going without sleep for a full night. Multitaskers typically think they are more effective than is actually the case. 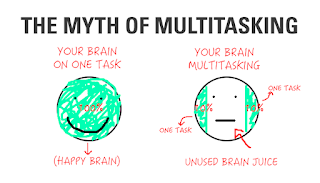 When the quantity of tasks per person becomes overwhelming, consider an office/personal assistant as a reasonable solution to the multitasking dilemma. Separating the tasks and sharing the work will improve productivity, safety, job satisfaction and ultimately profitability as it reduces distraction, fatigue and resentment. This will more than pay for the help! Today, most of our communication is based around email correspondence. Since by nature I am a talker, most of my emails are super long. I realized I needed training in how to communicate more clearly and keep my emails shorter. I have decided to attend a workshop on how to utilize emails to write clear and effective messages. This month, I wanted to share with you some tips that I am currently working on applying to my every day communication. 1. Subject line: I have been guilty of putting something very generic in the subject line. Through the workshop, I realized how important it is to make the subject line meaningful and detailed. Now, I make it a point to write in the subject line what the email is about, if it is important, and any other details that I would like someone to know. Ex: Previous subject might say “New Client Information” but now I will write “Bethlehem Office Assistant – new client details – please reply within 48 hours” In general, you want to keep your subject line short, but because I am emailing my staff I can make the subject line very specific. Another tip is to change the subject line if the topic of your email changes. Throughout your communication with the recipient, you may get off topic and start a total new conversation. Simply change the subject line to reflect the change. This will make it very easy for you to locate the email if at a later time you need to find information about the topic. 2. Get directly to the point – and say last sentence first: I am super guilty of this! The talker in me, wants to know about your day, how you are feeling, etc. But, with the amount of emails we are receiving throughout the day, most of us will appreciate a message that goes directly to the point of the email. We usually tend to ‘end’ with what the email is truly about, but what if your recipient doesn’t finish reading the email or visually scans it for important information? I try to make it a point to say what I need to say first and then to satisfy my need to ‘talk’ will end the email with a warm message. 3. Use short sentences and even shorter paragraphs: Apparently not everyone is like me and enjoys reading every single word of a lengthy email. (GUILTY!) When writing an email, try using simple words, short sentences and even shorter paragraphs. Using bullets to point out different parts of the email is a great strategy. 4. Don’t use all CAPS: (Finally NOT guilty of something) Using all caps makes it seem like you are shouting. That’s a simple one right? 5. When you can, only reply to emails from your computer/laptop: Autocorrect on smart phones – do we need to say more? Always proof read any message sent from your phone – it can save you from an embarrassing ‘autocorrect’ moments. 6. Keep formatting simple: As a general rule, use black color on a white background. Utilizing many fonts, colors and other decorative features makes your message hard to read. 7. Always add the email last: (GUILTY!) How many times did you send the email to the wrong person or somehow you hit send before you finished the email or had a chance to proof your message. Leaving the email blank will prevent these mistakes and allow you the time you need to properly proof read your email. Hopefully, I will follow my own tips and make it a habit to keep my emails shorter and to the point. The talker in me will always come through, but by adding these tips into my daily routine I hope to become a better communicator. If you have any tips for email correspondence email them to Ania@AllServiceUS.com. I would love to spotlight you during next month’s connect.